I was watching an NFL game and heard the announcer say something about a player named Jesse James. Obviously, this made me think about the famous outlaw, and I began to wonder something. How many people have this name? In addition to the football player, there is the television reality star who was once married to Sandra Bullock. He made to it television as an customizer of motorcycles. A professional wrestler also used Jesse James as a ring name. Of course, character names tend of change in professional wrestling, and he has also wrestled as Road Dogg and a few other things. Locally, there is a country music singer named Jessie James. I do not know what she sings, but I know she is married to Eric Decker, who plays for the Tennessee Titans. The list goes on and on, but you get the point. A lot of people are named Jesse James. This begs a question – why are people named for this criminal? It is a question that has a few answers. In fact, I cover a few of them in class. First, we tend to think of Old West outlaws as heroes. This could be because they represent independence and the ability to do as they please. It could also be because dime novels and movies convinced Americans that they lived a romantic lifestyle. This definitely happened with the original Jesse James. However, there is one problem. I am not certain that Jesse James is an Old West outlaw. Some of his most famous robberies took place in Missouri, Iowa, Kentucky and Minnesota. Heck, he lived for a couple of years in Nashville. I am not sure those are places people have in mind when they think of the Old West. Second, Jesse James is a cool name. It is alliterative and roles of the tongue. When people refer to Jesse James, they never say Jesse or James. They always say his entire name. Consider the brother of Jesse James. Frank James was involved in the robberies, but his name does not live on as a football player, motorcycle customizer, wrestler or country singer. The name does not draw the proper attention. 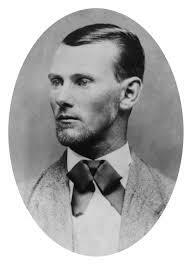 Yes, people are named Jesse James because of the original’s hero status and because it sounds cool. Heck, if the football player was named Frank James I would not even had heard it. I would not be writing this post, and you would not be reading it. It sort of makes me sad for Frank James. Of course, Jesse was killed because he was the famous one, and Frank lived to a ripe old age. Frank James may be the cooler name after all. The Blind Side is a movie based on the real story of Michael Oher, a young African-American who is adopted into a wealthy Memphis family. Through their support, he blossoms into a great football player who goes on to success in college and the National Football League. It is a movie about the goodness of people and about what can happen when someone gets a little help along the way. It is a movie that makes the audience feel good about the world. It is a movie that everyone in my family likes. Well, let me explain how. I was initially turned off by the main character played by Sandra Bullock, who hates the University of Tennessee. Why would I want to watch a movie where they talk smack about the team that I like? That makes no sense to me. For a long time, that was my reason for not liking The Blind Side. However, people did not accept that, and my argument had to be strengthened. That is when I started looking into the story a little more carefully. Before I get into that, there is something else that I need to explain. I am not a fan of any movie that takes real people and turns their story into a simple fairy tale. There are a ton of these movies out there, and they all make the same mistakes. Humans are complicated, and they have complicated stories. Turning those complicated stories into simple “feel good” narratives is not fair to the people being portrayed, and it is not fair to the audience. I am all for “feel good” movies. However, they are better told in the fictional world. Now, here is the complicated tale of Michael Oher and the Tuohys, his adopted family. The movie portrays Michael as a big poor kid who did not know how to do anything. Then, Leigh Anne and Sean Tuohy took him off the streets. That is when his football talent emerged. In reality, he was an all-state football player and one of the top linemen in the nation who lived with several foster families. The Tuohys were one of those families, and they adopted him. This is where my cynicism shows through, but first I will say this. I am sure that the Tuohys cared for Michael. After all, they are real people with real feelings. However, it did not hurt that he was a great football player. Why did that not hurt? Because the Tuohys were huge boosters of the University of Mississippi. Mr. Tuohy played basketball for Ole Miss and worked as an announcer on basketball radio broadcasts. Mrs. Tuohy was a cheerleader at the school. This is where the arguments ensue. Others say that his football ability had nothing to do with the adoption. I say that I have seen a lot of crazy stuff in Southeastern Conference football recruiting. Adopting a great football player is a good way to pass benefits to the player in a legal way, and some people will go to any length to do that. Heck, Memphis is one of the most notorious cities when it comes to questionable recruiting tactics. Anyway, huge Ole Miss boosters adopt one of the nation’s top high school football players, and he ends up going to Ole Miss. It caught the attention of the NCAA. Members of my family read this blog, and this post may lead to more heated discussions about The Blind Side. So, why am I bringing it up? Here is why. This week, the NCAA announced that Ole Miss lacked institutional control when it came to football recruiting. There are violations after violations. People are wondering what punishment they will receive. People are also wondering what will happen to Hugh Freeze, the head football coach who oversaw some of this activity. Do you know where Hugh Freeze used to be the football coach? Briarcrest Christian School in Memphis. Do you know who was one of his best players? Do you know how he got into college coaching? He was hired at Ole Miss 20 days after Michael Oher signed the papers to play at the school. 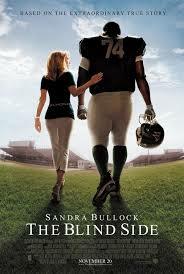 I am sure that The Blind Side is a good movie about good people. Heck, Sandra Bullock won an Academy Award for her portrayal. I am also sure that Michael Oher would not be where he is today without the influence of the Tuohys. However, there is more to the story than this simplified version, and I wish that was the movie that had been made.